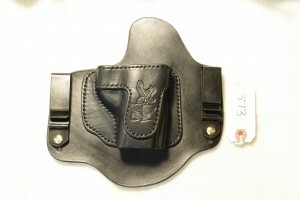 This holster has become available because the customer has run upon hard times. He has asked that I try to sell it if I can. I will let this brand new never used Right hand Invisi-Tuck™ IWB holster for the S&W Sigma go for $95.50 shipping included. (that is almost a $15 savings and you do not have to wait the 9 months that our current lead time is. Great deal for those with this gun. This holster is SOLD!! 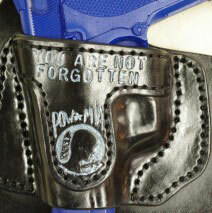 Call 989-941-6242 to purchase this holster today.